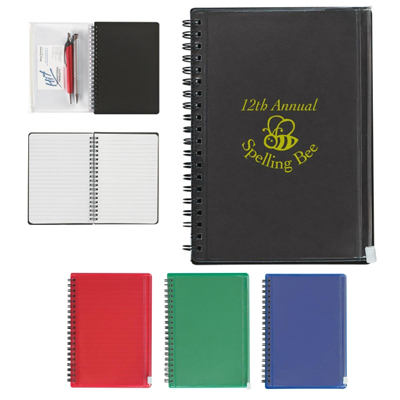 The Custom Spiral Notebook with included Pouch is 5″ x 7″ and includes 70-sheets of paper. 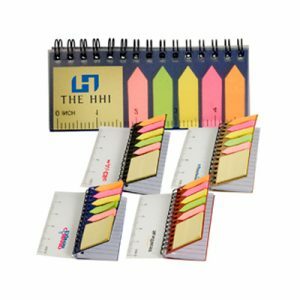 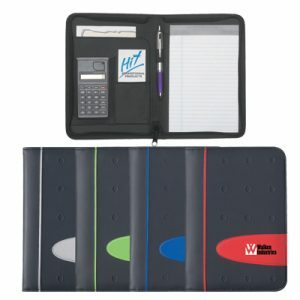 A plastic section inside the notebook cover can be used for storing pens, pencils, or other small office tool or accessories. 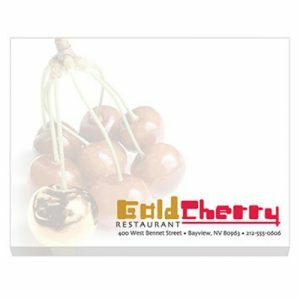 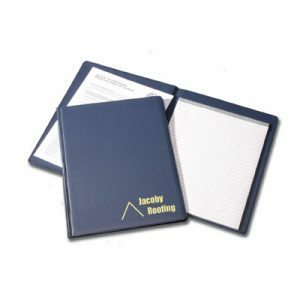 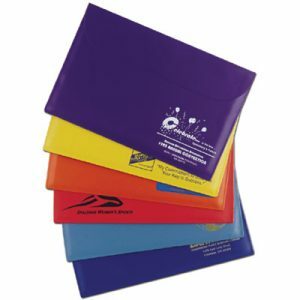 A large imprint section on the front side makes this promotional notebook a great way to show off your custom brand or logo to employees or customers.